Joel’s work is rooted in Indigenous-based forms of dialoguing and decision-making meaning it is non-hierarchical, intergenerational, and uplifts non-institutional expertise. This method of organizing has allowed for impactful actions and projects centering on those most vulnerable by injustices. The banner drop was a planned in response to President Trump’s administrations consideration to change the way it treats transgender people under the law. Photo and video of the highly visible action went viral producing a flurry of stories some of which are listed below. I had previously collaborated with day laborers to create art collectively but it felt off-center. For JornARTleros, I designed this project to recruit artists from Self Help Graphics & Art’s Barrio Mobile Art Studio and enlist the organization’s resources, creative and mechanical, and place them in the hands of day laborers and street vendors. This responsive and inclusive entrepreneurial project turned SHG into a design house for low wage workers to design and produce their own work apparel as-well-as learn screen-printing in the process. For me this was a way to reduce the criminalization of workers, expand opportunities through self-driven branding and encourage self-determination. Workers participated by consulting with an artist and creating sketches for their logo. Enlisted artists digitized the workers sketches and once the design was approved, workers learned every step of the screen-printing process. In light of increased ICE raids at a local and national level and eventually the threat to end DACA (Deferred Action for Childhood Arrivals), Self Help Graphics & Art produced this Know Your Rights poster with then summer intern Katherine Chavez to share in English and Spanish. with immediate actions to take should an individual be approached by ICE. 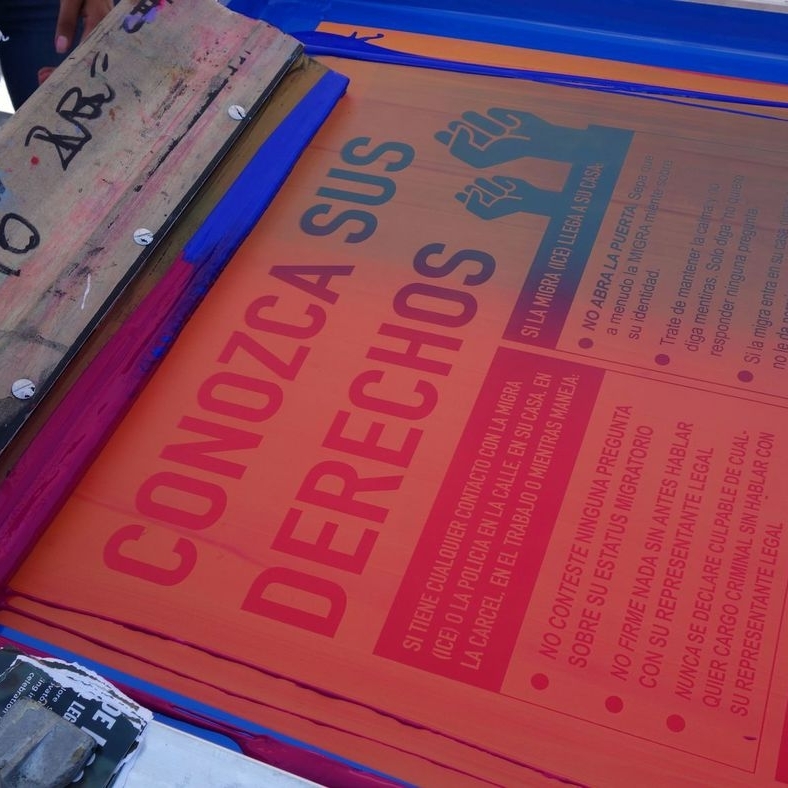 The pop-ups took place across Boyle Heights and the posters were distributed at numerous events in partnership with the Building Healthy Communities Boyle Heights collaborative, National Day Laborer Organizing Network and artists from SHG’s Barrio Mobile Art Studio. Binding Displacement was a youth-led action that took place on the corner of 1st and Boyle in direct response to Metro’s process allowing the developer of the site to do extremely limited outreach to the residents. The mixed use housing development was presented to the community as a final plan, without having consulted and done its due diligence with community members about what they may want to see or need from that property. Youth led a survey process through ribbons that asked students and passersby what they would want to see on the lot, who then wrote their answers on ribbons and tied them to the fence. 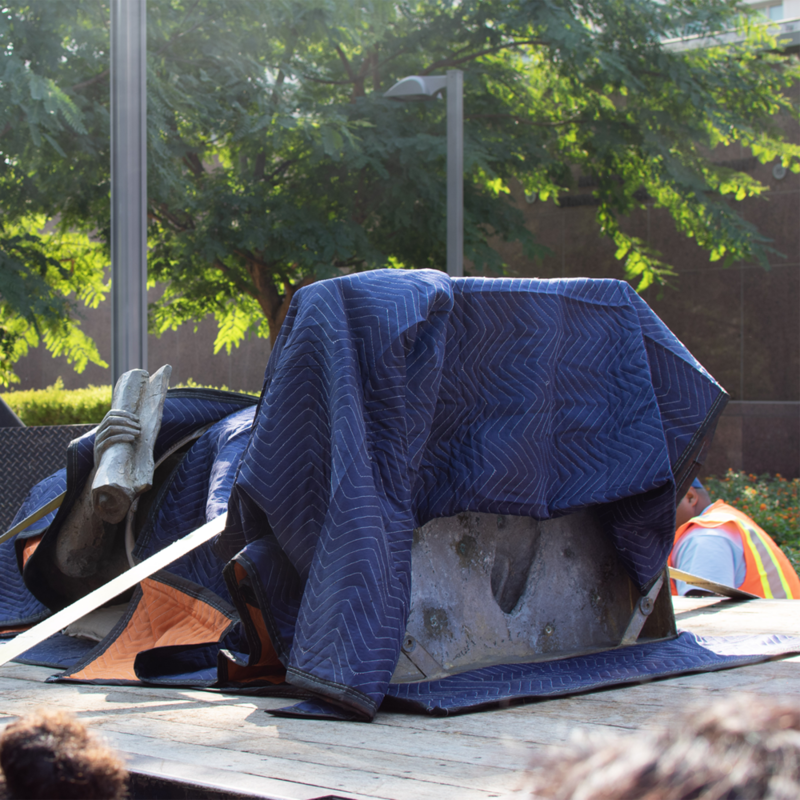 The action brought out representatives of Metro, City, County, and the developer’s office, and they all engaged in the process, providing their own responses for the artistic installation. This action was part of a larger effort to affect Metro’s policy pertaining to the amount of time that developers must plan for community outreach and engagement. It also serves as an example of the creative ways that they can engage with the public and meet the people impacted by these developments. While working at Self Help Graphics & Art, I was able to bring art-based strategies as part of our contribution to the California Endowment’s Building Healthy Communities and the Invest in Youth Campaign. That meant proposing a holistic (trauma informed and healing centered) as-well-as a cultural approach that encompasses and provides the resources and pathways for youth to develop and engage in their academic, economic, emotional, creative, physical, mental and spiritual wellness. This resulted in adopting a value system asa foundation to do this work collectively with youth at the center.